The Hendin Academy, Mombasa, Mtopanga. The Hendin Academy in Mtopanga has been established since 2008. 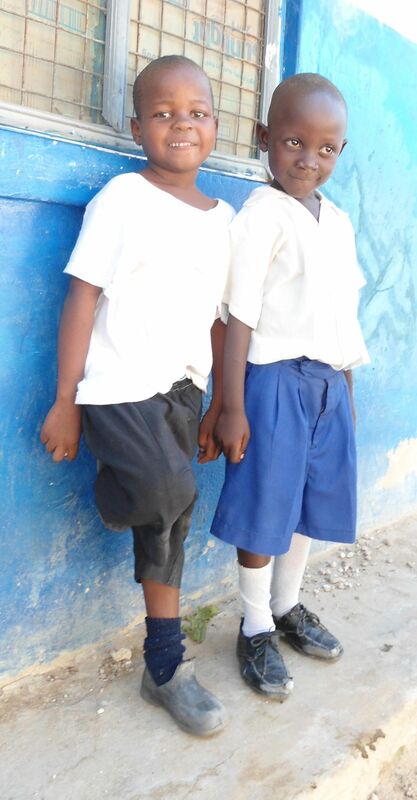 The school provides primary level education and currently has 60 pupils aged between 4 and 11. Since it was established the school has been run by Samwel Manda and his son Joseph. Samwel also runs an orphanage in the local community. We fund the daily running costs of the school which includes the rent, teacher salaries, food, clean water, uniforms, stationery and electricity. The school also teaches in four different languages, on occasion we fund school trips to enhance learning. Construct a new building and facilities for current Hendin Academy in Mtopanga. At present, the Mtopanga school is in a rented building and we intend to buy land on which to construct a purpose built facility. The new building will incorporate boarding facilities as well as providing education opportunities for the local community. These costs will be primarily for the purchase of land and the construction of the school building. With volunteer support from the local community we believe this project will take 12 months from when it can commence.